Over the past year and a half, we've seen more than 200K people build, modify, and create with our Voice Kit and Vision Kit products. Today at Cloud Next we announced two new devices to help professional engineers build new products with on-device machine learning(ML) at their core: the AIY Edge TPU Dev Board and the AIY Edge TPU Accelerator. 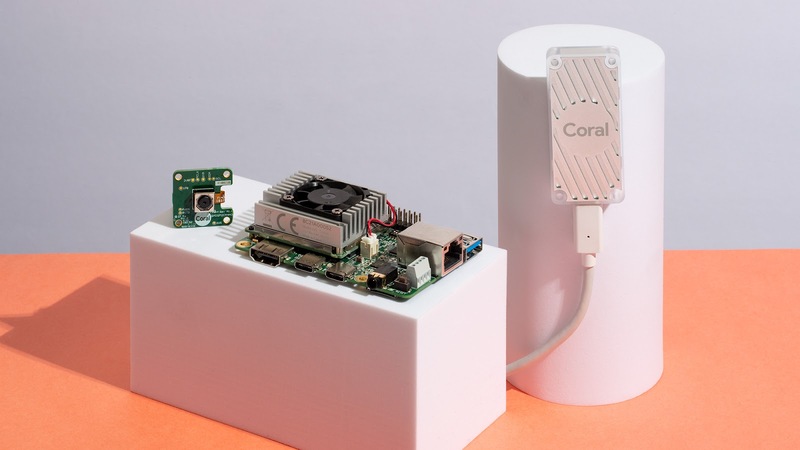 Both are powered by Google's Edge TPU and represent our first steps towards expanding AIY into a platform for experimentation with on-device ML. 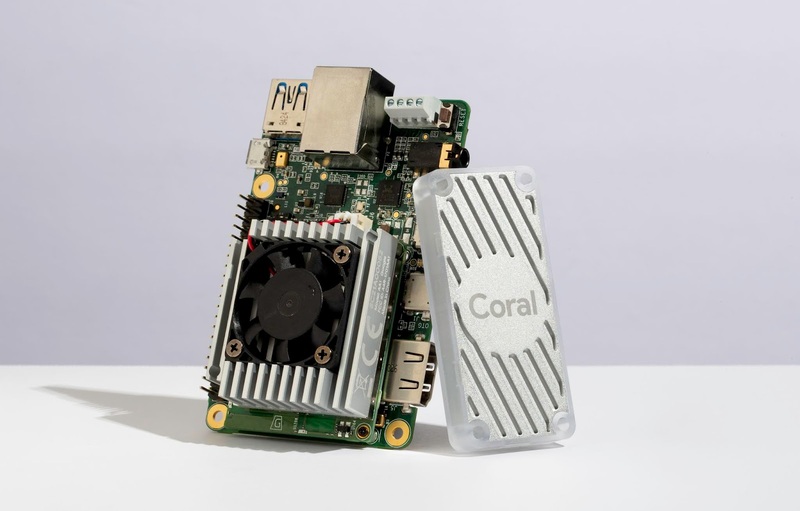 The Edge TPU is Google's purpose-built ASIC chip designed to run TensorFlow Lite ML models on your device. We've learned that performance-per-watt and performance-per-dollar are critical benchmarks when processing neural networks within a small footprint. 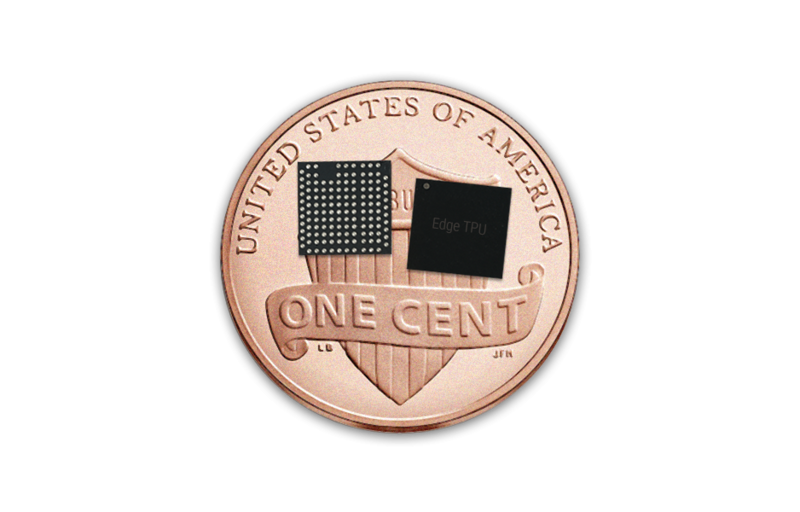 The Edge TPU delivers both in a package that's smaller than the head of a penny. It can accelerate ML inferencing on device, or can pair with Google Cloud to create a full cloud-to-edge ML stack. In either configuration, by processing data directly on-device, a local ML accelerator increases privacy, removes the need for persistent connections, reduces latency, and allows for high performance using less power. 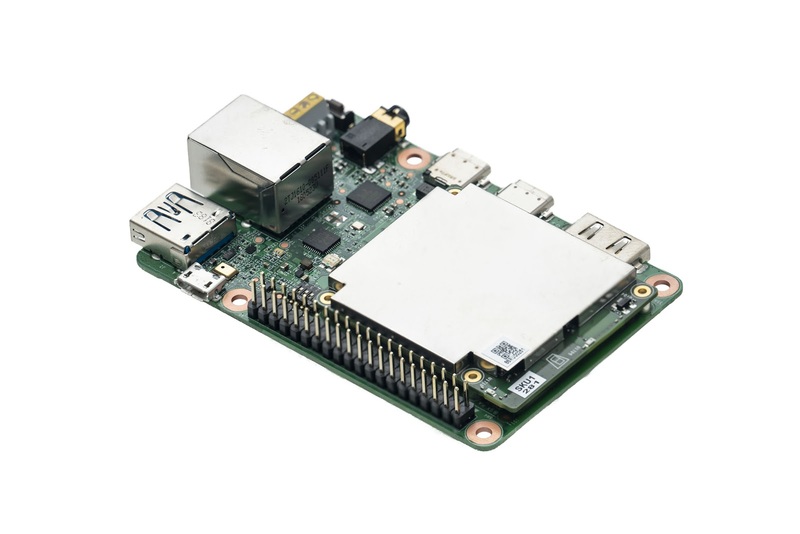 The AIY Edge TPU Dev Board is an all-in-one development board that allows you to prototype embedded systems that demand fast ML inferencing. The baseboard provides all the peripheral connections you need to effectively prototype your device — including a 40-pin GPIO header to integrate with various electrical components. The board also features a removable System-on-module (SOM) daughter board can be directly integrated into your own hardware once you're ready to scale. 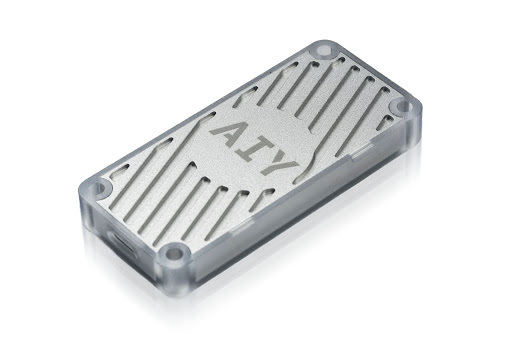 The AIY Edge TPU Accelerator is a neural network coprocessor for your existing system. This small USB-C stick can connect to any Linux-based system to perform accelerated ML inferencing. The casing includes mounting holes for attachment to host boards such as a Raspberry Pi Zero or your custom device. On-device ML is still in its early days, and we're excited to see how these two products can be applied to solve real world problems — such as increasing manufacturing equipment reliability, detecting quality control issues in products, tracking retail foot-traffic, building adaptive automotive sensing systems, and more applications that haven't been imagined yet. Both devices will be available online this fall in the US with other countries to follow shortly. For more product information visit g.co/aiy and sign up to be notified as products become available. This entry was posted in Google Developers Blog and tagged AI, AIY, AIY Projects, artificial intelligence, Edge TPU, Edge TPU Accelerator, Edge TPU Dev Board, IoT, Machine Intelligence, machine learning, machine learning accelerator, Maker, prototype, TensorFlow, TPU on July 25, 2018 by Google Devs.